Did you know you can get Wishbone Day updates delivered straight to your inbox? Enter your email address below and you'll receive these updates straight to your email inbox - you'll never miss a thing! Let others know they can also subscribe. Wishbone Day is just around the corner! The possibilities for yellow are endless! 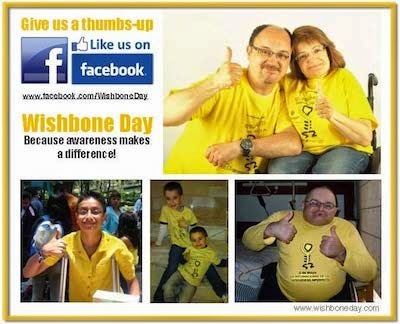 Can we count you in on Wishbone Day 2011? Living life with OI? Send us your photos!